Harris Jayaraj has said that the audio of 7am Arivu will be launched on September 10th. Confirming this, Harris said that the final touches have been given and the master copy will be ready on time for the launch. Surya starrer 7am Arivu is creating a lot of expectations more so because of the stills released recently. The film will also mark Kamal Haasan’s daughter Shruti Haasan’s debut in Kollywood. 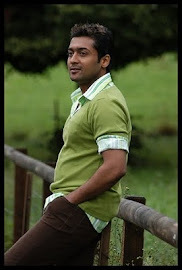 7am Arivu is touted to be a science and medical thriller with Surya appearing in two different get-ups. The film will hit the screens for Deepavali.